From a technical standpoint, both the CPP and ACA offer a variety of tools and federal assistance to help states decide how to comply. Under both schemes, states can choose to run their own system, run a system in partnership with the federal government, or not run any system at all (at which point the federal government steps in to run the system for that state). And, once a state decides on a compliance program, it is not stuck with it: both the CPP and the ACA allow a state to transition later on to a different level of involvement in running its own system. Finally, both the CPP and the ACA drew fierce legal challenges immediately upon their promulgation and enactment, respectively. Electric utilities must make long-range decisions—forecasting decades into the future—about infrastructure, availability of resources, siting of power plants, reliability and security of the electricity grid, rate structures, multi-year or multi-decade power purchase contracts, and so on. Layered onto the years it takes to make and implement these decisions is the time required to comply with federal, state, and local regulations—which, of course, are regularly evolving. Final CPP state implementation plans are due to EPA by September 6, 2016, with the possibility of a two-year extension (which requires an initial submittal, also due on September 6, 2016, demonstrating a state’s progress toward developing a final plan). EPA has stated that it will approve or disapprove of state plans within one year of their submittal. The CPP’s standards are set to go into effect in 2022, so a state that misses the September 2016 deadline because it dragged its feet preparing an approvable state plan (if it decides to prepare a plan at all) may leave its utilities with only a few years to react to an approved plan before compliance is required. Given the amount of lead time utilities need before they can put many of their business decisions into action, and considering the utilities’ reluctance to be subject to a federal plan, states that have already started their CPP planning give their utilities a head start towards achieving the regulatory certainty they need to engage in long-term planning. Additionally, though the states’ aforementioned commitments to draft their CPP plans predate the D.C. Circuit’s January 21, 2016 denial of the motion to stay the CPP during the court’s review, the denial is all the more reason for states to continue to proactively work toward timely submittal of their plans. Early attempts to comply with the CPP also make it more likely a state can benefit from the CPP’s optional Clean Energy Incentive Program (CEIP). The CEIP encourages states to invest in renewable energy and energy efficiency projects that deliver results during 2020 or 2021, rewarding them with emissions allowances or emissions rate credits that can be banked and used to maintain CPP compliance in the event a state has an unforeseen, emergency reliability issue. Power-plant operations are not all contained neatly within state borders: many plants distribute power across state lines, and electricity grids are similarly interconnected. Naturally, such a system requires detailed coordination among states, as will adapting the system to comply with the CPP. States would rather make these important choices for themselves than allow the federal government to make some choices on their behalf, which is effectively what would happen if a state defaults to a federal CPP plan. Getting started early on their CPP planning has allowed a number of states to productively engage with their neighbors in an effort to lower the costs of compliance by setting up a regional emissions-trading program. The CPP allows intrastate emissions trading and encourages interstate trading, but it is only permitted between states that have adopted the same emissions standards (i.e., mass-based states can only trade with mass-based states, and rate-based states can only trade with rate-based states). States that delay in their CPP planning are missing out on the opportunity to weigh in on regional discussions about which type of emissions standards are best for that region. The ACA also allows for regional marketplaces, but the states have yet to take advantage of that cost-cutting option. Several states, however, are beginning to consider the regional-marketplace option in light of the sunset on federal funding to help states run their own state-based marketplaces. Though the public was able to comment on many ACA regulations, including the rules that govern whether a state marketplace is compliant with the law, the Department of Health and Human Services did not seek public comment on a state’s “Exchange Blueprint” before the agency approved it. That means a state’s choice of whether to pursue a state-based marketplace or default to a federally-facilitated marketplace had no impact how much the public could formally weigh in on HHS’s administrative decisions under the APA. The CPP, in contrast, gives the public more opportunities to be involved in the administrative review process when a state opts to submit its own implementation plan. First, the CPP requires a state to demonstrate that its plan was developed through robust public participation, including opportunity for public comment. Second, EPA’s decision to disapprove of a state-submitted plan is subject to notice and comment before a federal plan would take effect. One of the grounds on which the suing states criticize the CPP is that it is an administrative overreach; that it is the kind of major economic and political decision entrusted to Congress, the body which is directly accountable to the will of the people. Presumably then, these states would want the public to have as many opportunities as possible to involve itself in EPA’s CPP decisions, given that the notice-and-comment process also requires administrative agencies to be accountable to the will of the people (or to at least respond directly to their comments and explain why it did not take their suggestions). States can ensure that there are more opportunities for public comment if they submit their own CPP plans to EPA. And, of course, more solicitations of public comment by EPA means more opportunities for opponents to seek judicial review of the CPP. The Clean Air Act (CAA), the background legal authority for the CPP, is old hat. The CAA is stable, settled law—enacted in 1970, and without significant amendment since 1990. States have years of experience developing their own implementation plans to comply with the CAA emissions standards for certain types of pollutants. They have routinely opted to create State Implementation Plans to comply with the CAA’s National Ambient Air Quality Standards, which, like the CPP, employs a federal-state partnership to curtail air pollution. Through this process, states and utilities have developed the “muscle memory” necessary for complying with EPA emissions rules. The ACA, in contrast, was brand new law when it was enacted in 2010. States may have been less inclined to invest their resources in developing insurance marketplaces to comply with a law many were skeptical would even be upheld. Litigating the CPP will be “a marathon, not a sprint,” and we are still in the nascent stages of that process. States may well end up changing their respective approaches in response to major developments in the litigation, especially if the Supreme Court responds favorably to their January 26, 2016 request for a stay of the CPP. Other things equal, given that most states have already hit the ground running with a proactive approach to the CPP, such a change is not foreseeable—at least not until EPA starts issuing decisions on their individual CPP submissions several years from now. Jennifer Golinsky is a second-year law school at the Georgetown University Law Center. She is a staff contributor to the Georgetown Environmental Law Review. This post is part of the Environmental Law Review Syndicate. The original post can be viewed here. Carbon Pollution Emission Guidelines for Existing Stationary Sources: Electric Utility Generating Units, 79 Fed. Reg. 38,830 (proposed June 18, 2014) (to be codified at 40 C.F.R. pt. 60), https://www.gpo.gov/fdsys/pkg/FR-2014-06-18/pdf/2014-13726.pdf. The final rule for the Clean Power Plan—a set of guidelines for states to follow in developing plans to reduce greenhouse gas emissions from existing power plants—was promulgated on October 23, 2015 (Carbon Pollution Emission Guidelines for Existing Stationary Sources: Electric Utility Generating Units, 80 Fed. Reg. 64,662 (Oct. 23, 2015) (to be codified at 40 C.F.R. pt. 60), https://www.gpo.gov/fdsys/pkg/FR-2015-10-23/pdf/2015-22842.pdf), along with a proposed federal plan and model trading rules (Federal Plan Requirements for Greenhouse Gas Emissions From Electric Utility Generating Units Constructed on or Before January 8, 2014; Model Trading Rules; Amendments to Framework Regulations, 80 Fed. Reg. 64,966 (proposed Oct. 23, 2015) (to be codified at 40 C.F.R. pts. 60, 62, and 78), https://www.gpo.gov/fdsys/pkg/FR-2015-10-23/pdf/2015-22848.pdf). See, e.g., Coral Davenport & Peter Baker, Taking Page From Health Care Act, Obama Climate Plan Relies on States, N.Y. Times (June 4, 2014), http://www.nytimes.com/2014/06/03/us/politics/obama-epa-rule-coal-carbon-pollution-power-plants.html; David J. Unger, EPA Carbon Limits: An ‘Obamacare’ for Climate Change, Christian Sci. Monitor (June 4, 2014), http://www.csmonitor.com/Environment/Energy-Voices/2014/0602/EPA-carbon-limits-an-Obamacare-for-climate-change-video; Michael Bastasch,‘Obamacare 2.0!’ Critics Slam EPA Climate Rule as Threat to Electrical Grid, Daily Caller (June 6, 2014, 1:37 PM), http://dailycaller.com/2014/06/06/obamacare-2-0-critics-slam-epa-climate-rule-as-threat-to-electrical-grid/. See Summary of the Affordable Care Act, Kaiser Fam. Found., http://files.kff.org/attachment/fact-sheet-summary-of-the-affordable-care-act (last modified Apr. 25, 2013), for a detailed summary of the Affordable Care Act, a comprehensive healthcare reform law enacted on March 23, 2010. Jason Mark, EPA’s New Regulations to Cut Carbon Emissions are Obamacare for the Air, Daily Beast (June 2, 2014, 5:45 AM), http://www.thedailybeast.com/articles/2014/06/02/epa-s-new-regulations-to-cut-carbon-emissions-are-obamacare-for-the-air.html. See U.S. Envtl. Prot. Agency, Overview of the Clean Power Plan (Aug. 6, 2015), http://www.epa.gov/sites/production/files/2015-08/documents/fs-cpp-overview.pdf; Ctrs. for Medicare & Medicaid Servs., State Exchange Implementation Questions and Answers (Nov. 29, 2011), https://www.cms.gov/CCIIO/Resources/Files/Downloads/exchange_q_and_a.pdf. http://www.ncsl.org/Portals/1/Documents/Health/Changes_in_Health_Exchange_Structure-2015-_Final2.pdf (last updated July 30, 2015); Ctr. for Consumer Info. & Ins. Oversight, Blueprint for Approval of Affordable State-based and State Partnership Insurance Exchanges – Frequently Asked Questions (Nov. 9, 2012), https://www.cms.gov/CCIIO/Resources/Fact-Sheets-and-FAQs/hie-blueprint-states.html. See Clean Power Plan Proposed Federal Plan, supra note 6, at 2; Nat’l Conf. of St. Legislatures, supra note 6. West Virginia v. EPA, No. 15-1363 (D.C. Cir. filed Oct. 23, 2015) (pending challenge to the CPP); Florida v. U.S. Dep’t of Health and Human Servs., 780 F. Supp. 2d 1256 (N.D. Fla. 2011) (district court opinion from ACA challenge filed Mar. 23, 2010); Virginia ex rel. Cuccinelli v. Sebelius, 728 F. Supp. 2d 768 (E.D. Va. 2010) (district court opinion from ACA challenge filed Mar. 23, 2010). This includes (1) the twenty-six states which acted jointly in Nat’l Fed’n of Indep. Buss. V. Sebelius (NFIB), 132 S. Ct. 2566 (2012): Alabama, Alaska, Arizona, Colorado, Florida, Georgia, Idaho, Indiana, Iowa, Kansas, Louisiana, Maine, Michigan, Mississippi, Nebraska, Nevada, North Dakota, Ohio, Pennsylvania, South Carolina, South Dakota, Texas, Utah, Washington, Wisconsin, and Wyoming; (2) Missouri, which filed its own suit that was later joined on appeal (Kinder v. Geithner, 695 F.3d 772 (8th Cir. 2012)) by twenty-one of the twenty-six states from NFIB; and (3) Virginia, which sued on its own in Cuccinelli, 728 F. Supp. 2d 768. For the sake of simplicity—and ease of comparison to the states involved in West Virginia v. EPA—this does not include the states which were not part of the three aforementioned ACA suits but challenged portions of the law in later suits. The twenty-two states were: Alabama, Alaska, Arizona, Florida, Georgia, Indiana, Kansas, Louisiana, Maine, Michigan, Mississippi, Missouri, Nebraska, North Dakota, Ohio, Pennsylvania, South Carolina, South Dakota, Texas, Virginia, Wisconsin, and Wyoming. See Health Insurance Exchanges or Marketplaces: State Profiles and Actions, Nat’l Conf. of St. Legislatures, http://www.ncsl.org/Portals/1/Documents/Health/Health_Insurance_Exchanges_State_Profiles.pdf (last modified Oct. 20, 2015). See State Health Insurance Marketplace Types, 2016, Kaiser Fam. Found., http://kff.org/health-reform/state-indicator/state-health-insurance-marketplace-types/#table (last visited Jan. 29, 2016). On January 1, 2014, twenty-eight states were federally facilitated, fifteen states and the District of Columbia were state based (including Idaho’s state-based marketplace, which used the federal healthcare.gov site instead of a state website (this is called a “federally-supported state-based marketplace,” id.) and seven states ran their marketplaces in partnership with the federal government. See Nat’l Conf. of St. Legislatures, supra note 10. In 2016, twenty-seven states are federally facilitated, sixteen states and the District of Columbia are state based (including four which are federally-supported state-based marketplaces), and seven states operate marketplaces in partnership with the federal government. See Kaiser Fam. Found., supra note 11. Kentucky currently has a state-based marketplace, but its governor plans to dismantle it and transition to a federally-facilitated marketplace in 2017. See id. at n.3. The twenty-six states opposing the CPP in West Virginia v. EPA are Alabama, Arizona, Arkansas, Colorado, Florida, Georgia, Indiana, Kansas, Kentucky, Louisiana, Michigan, Mississippi, Missouri, Montana, Nebraska, New Jersey, North Carolina, Ohio, Oklahoma, South Carolina, South Dakota, Texas, Utah, West Virginia, Wisconsin, and Wyoming. See Petition for Review, West Virginia v. EPA, No. 15-1363 (D.C. Cir. filed Oct. 23, 2015), available at https://www.edf.org/sites/default/files/content/2015.10.23_states_111d_petition_for_review.pdf. North Dakota filed its own suit. See Petition for Review, North Dakota v. EPA, No 15-1381 (D.C. Cir. filed Oct. 23, 2015), available at https://www.edf.org/sites/default/files/content/2015.10.23_nd_petition_for_review.pdf. See Elizabeth Harball, Most States Suing EPA’s Climate Rule are also Mulling How to Comply, ClimateWire (Nov. 9, 2015), http://www.eenews.net/stories/1060027684. See E&E’s Power Plan Hub: Legal Challenges, E&E Publishing, http://www.eenews.net/interactive/clean_power_plan#legal_challenge_status_chart (last visited January 29, 2016); Rod Kuckro, Ky. Governor to Seek Extension from EPA, EnergyWire (Jan. 25, 2016), http://www.eenews.net/energywire/stories/1060031079; Wyoming Regulators Seek $550K for Climate Change Planning, Associated Press (Jan. 18, 2016, 1:04 PM), http://www.thestate.com/news/business/national-business/article55267605.html; Missouri Comprehensive State Energy Plan, Mo. Dep’t of Econ. Dev., Div. of Energy 204 (October 2015), https://energy.mo.gov/energy/docs/MCSEP.pdf. For example, EPA was told that “New Jersey is not in any way, shape or form working with EPA on complying with the so-called Clean Power Plan.” David Giambusso, Responding to EPA Official, DEP Refuses to Comply with Power Plan, Politico New Jersey (Dec. 11, 2015, 5:50 PM), http://www.capitalnewyork.com/article/new-jersey/2015/12/8585455/responding-epa-official-dep-refuses-comply-power-plan. See Joint Reply in Support of Motions for Stay and for Expedited Consideration—Exhibit A, West Virginia v. EPA, No. 15-1363 (D.C. Cir. filed Oct. 23, 2015), available at https://www.edf.org/sites/default/files/content/2015.12.23_states_reply_in_support_of_motions_for_stay.pdf; Joel Kirkland, Obama’s A-Team Touts Clean Power Plan’s Enforceability, EnergyWire (Dec. 7, 2015), http://www.eenews.net/stories/1060029064. This is in addition to the states which are either defending the CPP in court or have not taken sides in the suit—each of these states is developing a plan, except for the states which are exempt from the CPP (Alaska and Hawaii because they are noncontiguous, Vermont and the District of Columbia because neither state has power plants that fall under the CPP framework). See E&E Publishing, supra note 15; Clean Power Plan – A Summary, E&E Publishing, http://www.eenews.net/interactive/clean_power_plan/fact_sheets/rule (last visited January 29, 2016). See, e.g., State Petitioners’ Motion for Stay and for Expedited Consideration of Petition for Review, West Virginia v. EPA, No. 15-1363, at 19 (D.C. Cir. filed Oct. 23, 2015), available at https://www.edf.org/sites/default/files/content/2015.10.23_states_motion_for_stay_expedited_consideration.pdf. See, e.g.,Joint Reply in Support of Motions for Stay and for Expedited Consideration, West Virginia v. EPA, No. 15-1363, at 2 (D.C. Cir. filed Oct. 23, 2015), available at https://www.edf.org/sites/default/files/content/2015.12.23_states_reply_in_support_of_motions_for_stay.pdf. For examples of states commenting on the ACA’s economic impact, see Statement from Fla. Att’y Gen. Pam Bondi on the Supreme Court’s Decision in the Health Care Lawsuit (June 28, 2012), available at http://www.myfloridalegal.com/newsrel.nsf/newsreleases/76DE42E337565A5D85257A2B0065C6D2; Statement from S.C. Gov. Nikki Haley on Supreme Court’s Health Care Ruling (June 28, 2012), available at http://www.governor.sc.gov/News/June2012/Pages/default.aspx; and Statement from Tex. Gov. Rick Perry on Health Care Mandate Ruling (June 28, 2012), available athttp://www.texasmonthly.com/politics/texas-reacts-to-the-health-care-mandate-ruling/.For an example of the states’ claim that the ACA infringes upon their sovereignty, see State Petitioners’ Petition for Writ of Certiorari, NFIB,132 S. Ct. 2566 (No. 11-400), at 8, available at http://www.supremecourt.gov/docket/PDFs/11-400%20Cert%20Petition.pdf. See generally U.S. Envtl. Prot. Agency, Energy and Environment Guide to Action ch. 7.1, at 7-7 (2015 ed. ), http://www3.epa.gov/statelocalclimate/documents/pdf/GTA_Chapter_7.1_508.pdf. Carbon Pollution Emission Guidelines for Existing Stationary Sources: Electric Utility Generating Units, 80 Fed. Reg. 64,662, 64,860 (Oct. 23, 2015) (to be codified at 40 C.F.R. pt. 60), https://www.gpo.gov/fdsys/pkg/FR-2015-10-23/pdf/2015-22842.pdf. See Gavin Bade, NARUC 2015: Utilities Push Regulators to Shift Focus to Clean Power Plan Compliance, UtilityDive (Nov. 10, 2015), http://www.utilitydive.com/news/naruc-2015-utilities-push-regulators-to-shift-focus-to-clean-power-plan-co/408939/. Order Denying the Motions for Stay, West Virginia v. EPA, No. 15-1363 (D.C. Cir. 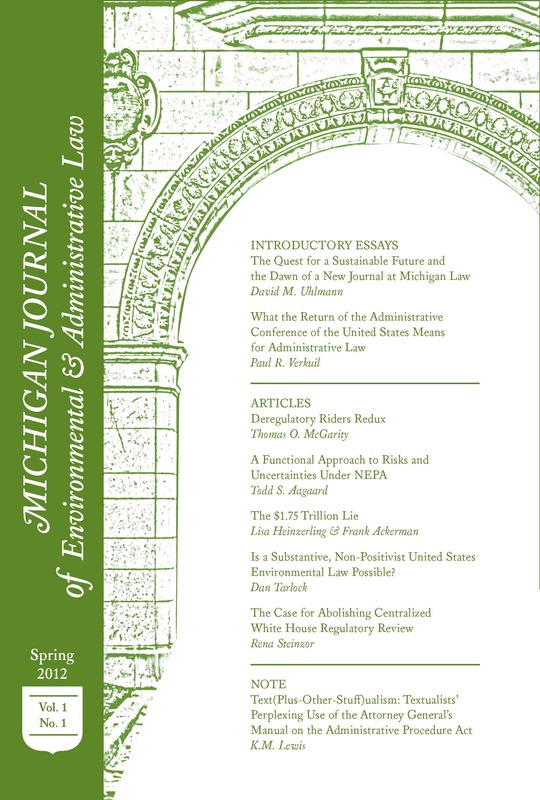 filed Oct. 23, 2015), available at https://web.law.columbia.edu/sites/default/files/microsites/climate-change/files/order_denying_stay.pdf. Federal Plan Requirements for Greenhouse Gas Emissions From Electric Utility Generating Units Constructed on or Before January 8, 2014; Model Trading Rules; Amendments to Framework Regulations, 80 Fed. Reg. 64,966, 64,982 (proposed Oct. 23, 2015) (to be codified at 40 C.F.R. pts. 60, 62, and 78), https://www.gpo.gov/fdsys/pkg/FR-2015-10-23/pdf/2015-22848.pdf). See U.S. Envtl. Prot. Agency, Components of the Clean Power Plan 3 (Aug. 13, 2015), http://www.epa.gov/sites/production/files/2015-08/documents/fs-cpp-state-goals.pdf. Emily Holden, Despite Political Rhetoric, 41 States Exploring Clean Power Plan Options, ClimateWire (May 18, 2015), http://www.eenews.net/stories/1060018680 (“Reports from grid organizations and think tanks routinely stress that regional collaboration limits costs. If one state has a tough goal and a neighboring state has an easier goal and the ability to build cheaper zero-carbon energy, both states can benefit . . . .”). See U.S. Envtl. Prot. Agency, supra note 5, at 7. Kaiser Fam. Found., supra note 3, at 4. Sarah Ferris, Exclusive: States Quietly Consider ObamaCare Exchange Mergers, The Hill (May 22, 2015, 6:00 AM), http://thehill.com/policy/healthcare/242885-exclusive-states-consider-obamacare-mergers. Standards for Employers, 77 Fed. R. 18310, 18,312 (Mar. 27, 2012) (to be codified at 45 CFR Parts 155, 156, and 157), https://www.gpo.gov/fdsys/pkg/FR-2012-03-27/pdf/2012-6125.pdf. Carbon Pollution Emission Guidelines for Existing Stationary Sources: Electric Utility Generating Units, 80 Fed. Reg. 64,662, 64,848 (Oct. 23, 2015) (to be codified at 40 C.F.R. pt. 60), https://www.gpo.gov/fdsys/pkg/FR-2015-10-23/pdf/2015-22842.pdf. U.S. Envtl. Prot. Agency, Legal Memorandum Accompanying Clean Power Plan for Certain Issues 21-22 (Nov. 2015); http://www.epa.gov/sites/production/files/2015-11/documents/cpp-legal-memo.pdf. State Petitioners’ Motion for Stay, supra note 19, at 6. See U.S. Envtl. Prot. Agency, Summary of the Clean Air Act, http://www.epa.gov/laws-regulations/summary-clean-air-act (last updated Nov. 17, 2015). Elana Schor, Casting EPA Rule as the Next Obamacare Could Prove a Tough Sell, E&E Daily (June 18, 2014), http://www.eenews.net/stories/1060001493. Bob Sussman, The Clean Power Plan: Will States Choose to Comply?, PlanetPolicy (Jan. 20, 2015, 2:46 PM), http://www.brookings.edu/blogs/planetpolicy/posts/2015/01/20-clean-power-plan-states-comply-sussman. Robert Walton, States Leaning Toward Mass-Based CPP Compliance, Regional Cooperation, UtilityDive (Oct. 21, 2015), http://www.utilitydive.com/news/states-leaning-toward-mass-based-cpp-compliance-regional-cooperation/407691/. Legal Challenges – Overview & Documents, E&E Publishing, http://www.eenews.net/interactive/clean_power_plan/fact_sheets/legal (last visited January 29, 2016). Lyle Denniston, States Move to Block “Clean Power Plan” (UPDATED), SCOTUSblog (Jan. 26, 2016, 9:28 PM), http://www.scotusblog.com/2016/01/states-move-to-block-clean-power-plan/. Next The Flint Water Crisis Class Action: Will This Be the End of a Disheartening Story?